Federal prosecutors in the trial against Boston Marathon bomber Dzhokhar Tsarnaev say the death of Martin Richard exemplifies why the bomber deserves the death penalty. Federal prosecutors have urged a judge to reject a request by lawyers for Boston Marathon bomber Dzhokhar Tsarnaev to strike one of the aggravating factors used to argue that Tsarnaev deserves the death penalty. 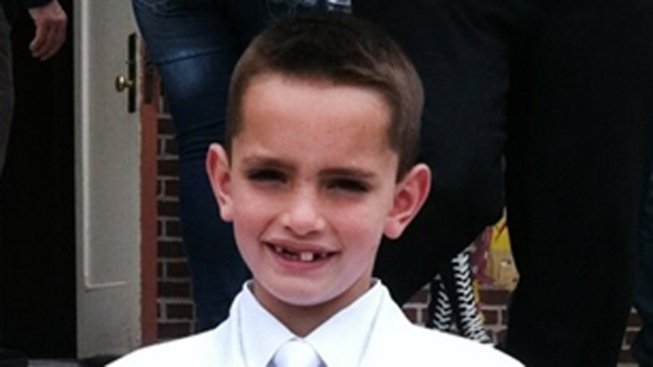 On Monday, Tsarnaev's lawyers said prosecutors have not presented evidence of the impact of the death of the youngest marathon victim, 8-year-old Martin Richard. In a written response Tuesday, prosecutors said they have shown that Martin "was a beloved son and brother" whose murder was witnessed by his family and caused "grievous harm and continuing grief." Tsarnaev was convicted of 30 counts in the deadly 2013 bombing. Closing arguments are scheduled Wednesday in the sentencing phase, when the same jury will decide whether he is given the death penalty or spends the rest of his life in prison.